When Columbus set sail in search of India, he had big dreams. The lush, green banks of the New World were abundant with wild vines. Just how magnificent would today’s tamed and coveted vineyards appear to those early explorers? 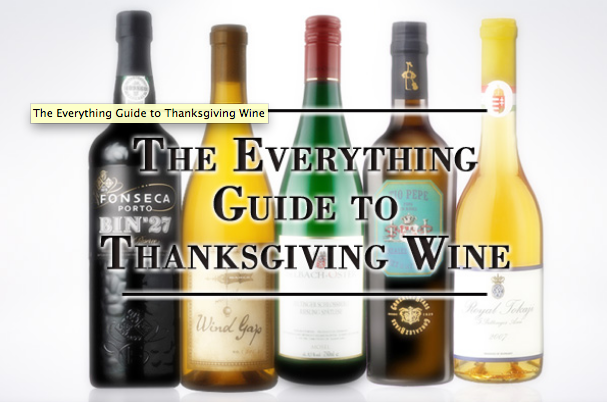 As we brood on that old, unfamiliar world, a glass of wine in hand, we should dream too, of the bountiful food and wine pairings that await: a Thanksgiving feast, so close, you could almost grasp it. Unlike those early explorers, however, you need not stray into dark, unfamiliar waters. To help guide you, we’ve provided a roadmap from pre-dinner to post-dessert that spans red, white and bubbly options through Port, Sauternes and Chartreuse. There really are no mistakes to be made when pairing food with wine. If you love big, rich, dark and complex reds, drink them throughout dinner. If you prefer the crisp, bright, eye-opening qualities of whites and sparkling wines, stick to that. Above all…keep reading.